Lining a print. After the object was humidified, it was placed on a sheet of Melinex. 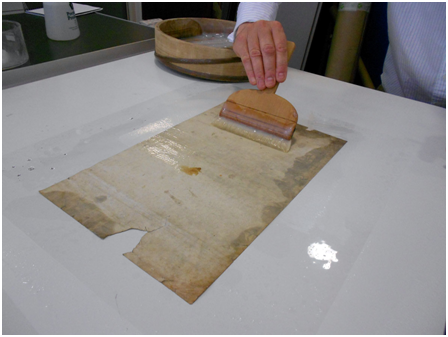 The verso of the object was pasted with wheat starch paste using a Japanese brush.